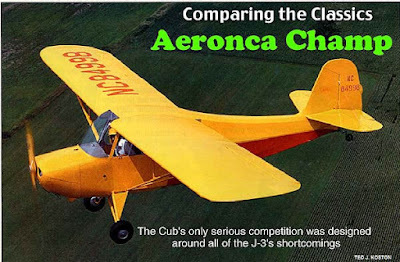 NORDO News - Aviation Unedited: Cubs vs Champs - Don't Miss It! Click here to read Budd's review of the Champ. If you haven't heard, there's a showdown set for Fall. Come September 18th, and running through the 20th, one group is going to earn a win and one group is not. It all depends on you. Support your team, Cub or Champ, by attending the Lee Bottom Fly-In with your plane. The rules are almost complete and it now appears we have found a way to include all Aeroncas and all Pipers (high wing) in the challenge. Will you be here to claim your spot in this friendly battle for supremacy? 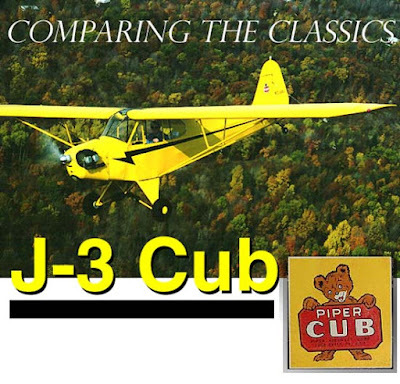 Click here to read Budd's review of the Cub. Don't be that person who looks for reasons not to fly. Use this as the perfect excuse to swing the prop and go have some fun. Once you're here, you'll be glad you did. Oh, and by the way, we have also figured out a way to include all variants right up to today. So, tell your friends and make your plans now. There's no reason for you to not be here to defend the honor of your flying machine. If you don't have a Champ or Cub, fly whatever you have to cheer on your favorite team. Note: In order for me to stay neutral on this post, I deferred to some great reviews written by our friend Budd Davisson. If you missed the links, you can get to them by clicking the caption under each photo.